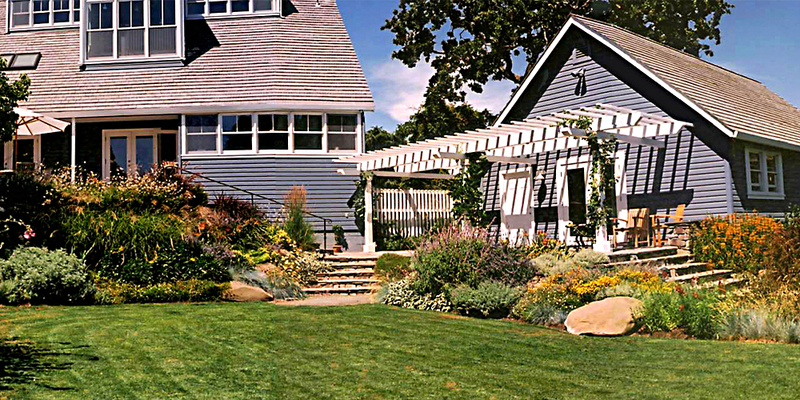 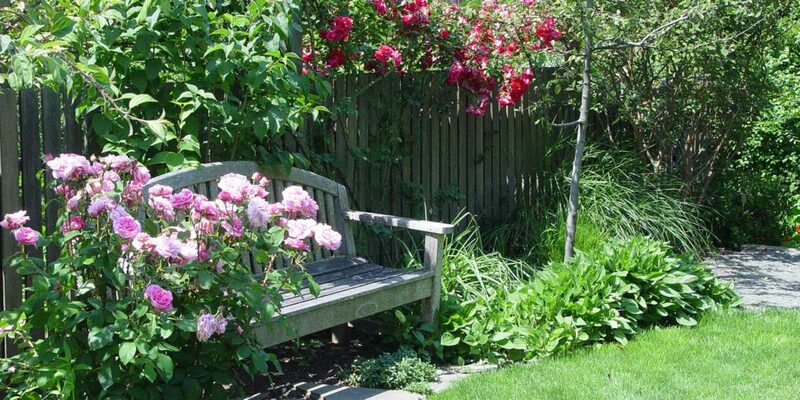 A Larkspur garden was created on a sloping lot with a recently contemporized Dutch Colonial house. 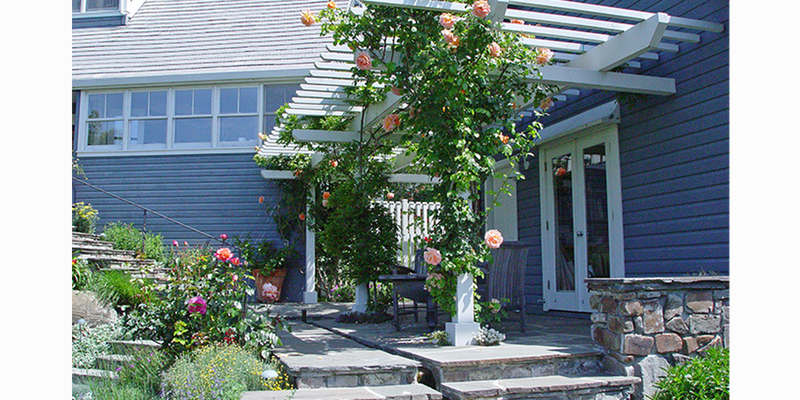 It required an imaginative solution to create and link different architectural elements on different levels. 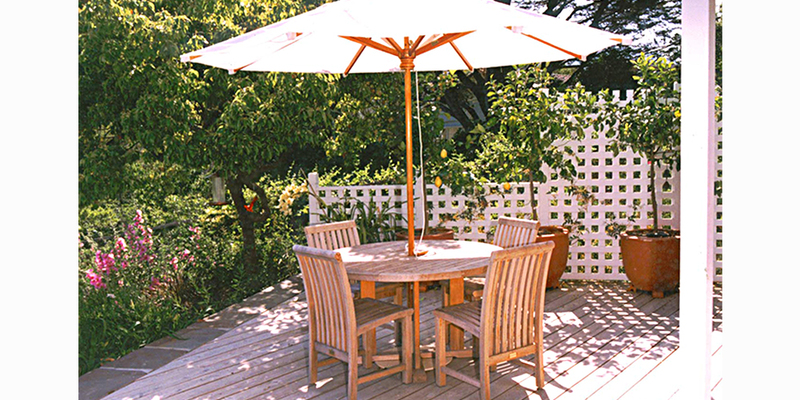 A generous deck off the back of the house is trapezoidal in shape, and serves to re-align the house with the axis of the property. 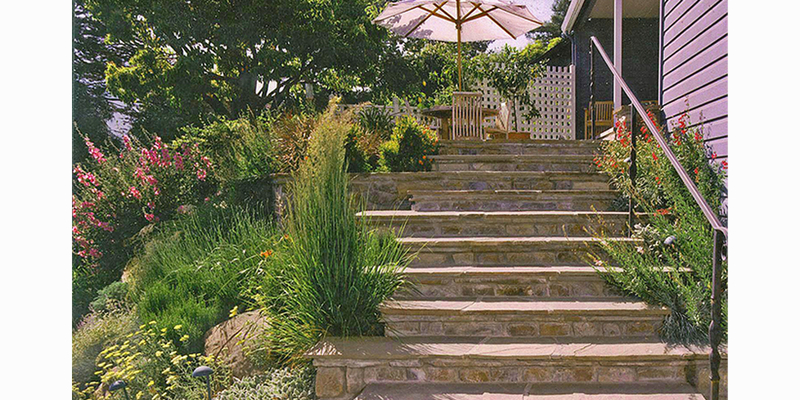 Steps from the deck leading down to a bluestone patio are varied in width to reduce the feeling of formality. 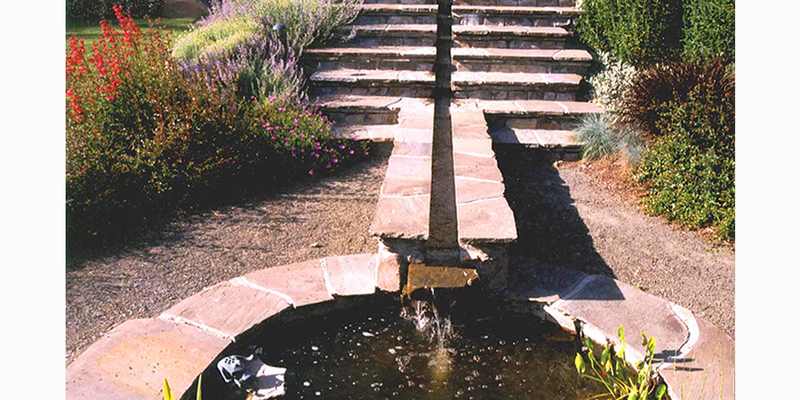 A small bubbling water basin set into the patio forms the heads of a watercourse that runs in a channel the length of the patio and down a gracious flight of steps to a lily pond. 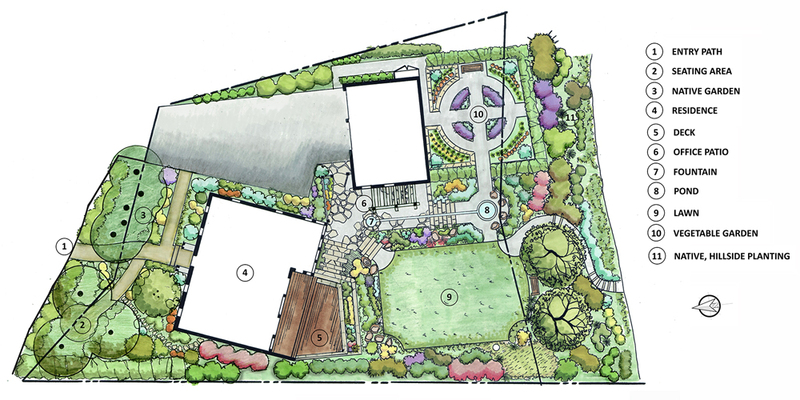 The path of the water parallels the linear architecture of the house, and the formal, axial layout of the garden. 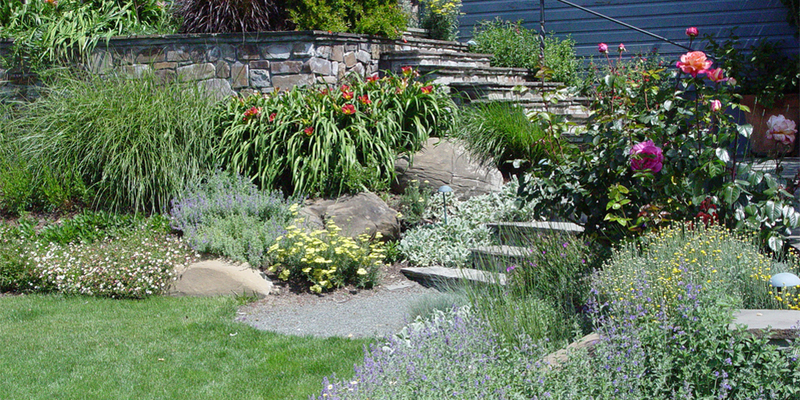 The pond transitions to the informal, naturalistic, water wise planting that characterizes the garden. 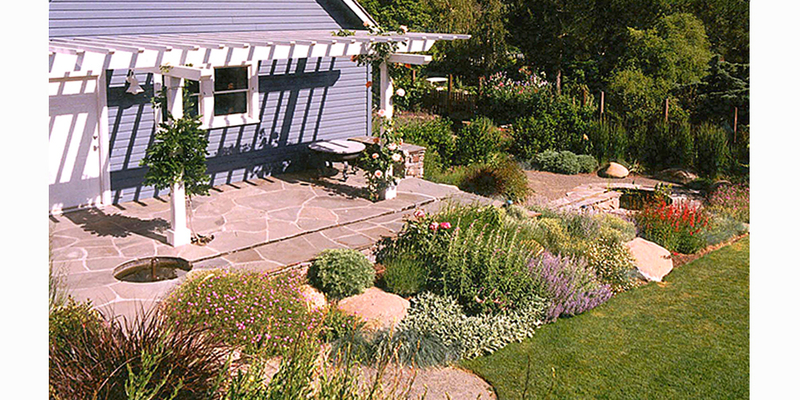 On the cross-axis, the pond links the lawn with the kitchen garden, and aligns with a view to Mount Tamalpais. 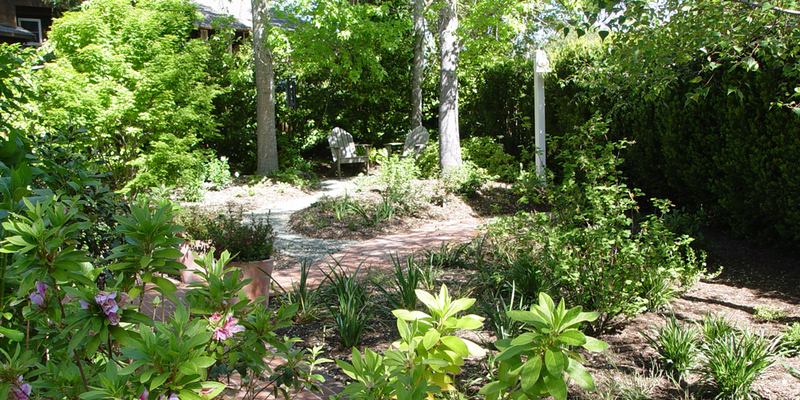 In the front yard, we recently sheet mulched over the existing lawn, with recycled cardboard, compost and mulch, then planted a California native garden, with iris, wild strawberry, coffeeberry, huckleberry, native currant and other plants.